March 22 marks World Water Day that is intended to tackle the global water crisis by addressing the reasons why so many people are being left behind. According to United Nations statistics, 80% people who have used unsafe and untreated water sources live in rural regions, which means that citizens of any nation living in marginalized areas are greatly affected. According to the UN, 2.1 billion people live without safe water to use at homes and through Sustainable Development Goal 6 that aims to ensure availability and sustainable management of water for all by 2030. World Water Day 2019 theme is “leaving no one behind”, meaning that pregnant mothers and children are at the top as this group is more vulnerable when trouble strikes. In Kenya, the current drought has largely affected about 12 counties. Normally, children travel for long distances in search for water, which is usually not clean nor safe to consume without treating. Although some organizations like UNICEF and World Vision have put in place programs to train communities on how to clean water easily, water unavailability remains an issue. Lack of access to clean water puts people at high risks of contracting waterborne diseases like Cholera, Guinea worm disease, Typhoid, and Dysentery. Children need water at school too to keep their bodies hydrated and to keep cool from the high temperatures from the scorching sun. People living in certain sections in urban areas also are affected by the unsafe water issue. There are households that use water from the county council and others from boreholes. Consuming clean water is a privilege and thus should be wasted but preferred. It is advised to take a bath than a shower as this saves much. However, I feel like it should be automatic in your mind to close a running tap rather than ignoring saying the owner knows there is a bill for it. Regardless of how much and who pays the bill, just the ability to use water, clean water, is something to treasure as there are millions of people in the country lacking that water. Water is not only consumed by human beings but animals and plants too. If a cow, goat, camel, drink clean water you are assured their products are safe to consume. Animals get sick too. Imagine the excruciating pain a person goes through when affected by amoeba which is usually caused by drinking contaminated water, that could be the same stress an animal feels. It is also important to note that various things are interconnected like water and forestry. From the much I grasped in my science class, conserving our forest coverage means that there is rain coming down and there is enough water for plants and to store. Deforestation has contributed to the dry spell we are experiencing in the country, the high temperatures contributing to dehydration. According to Kenya Forest Services, Kenya’s land has only a 6.2% tree coverage, therefore tree planting should be an agenda to focus on. Corruption in Kenya has “eaten up” almost all ministries and leaders are not trustworthy anymore as they have clearly shown how greedy they have become with taxpayer’s monies. Through the Ministry of Water and Sanitation, county government offices and Members of County Assemblies, there should be projects already established to provide and sustain its people with clean water. 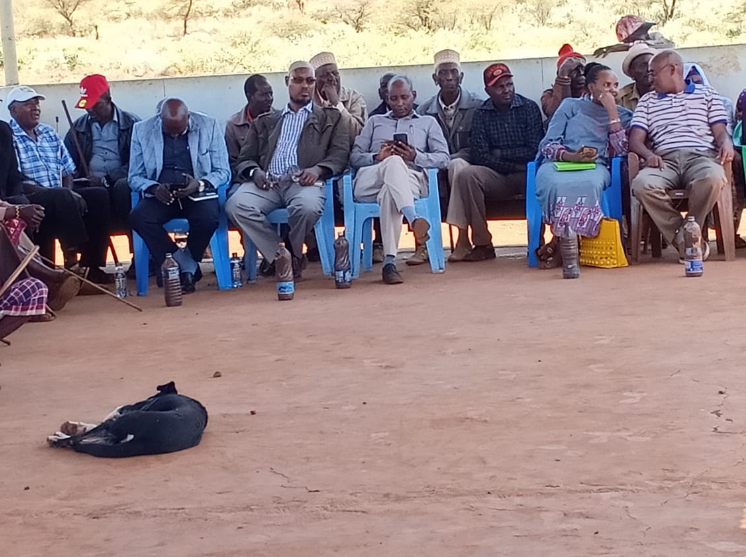 A couple of months ago, Marsabit leaders were having a meeting and they were served with dirty water to drink. I did applaud the residents for being unapologetic. Leaders expect to be treated as “special” while in reality they have a duty to delegate to the people who elected them to office. I mean, you cannot expect bottled-clean water to be served for you, while mothers, children and all your area members consume unsafe water! It is impossible. To me, this was a bold move and an example to many. Bottom line is that, the government needs to ensure that all her citizens, however far the county is from the capital, can access clean water. This is possible if you are all mindful of how others are living just as you are mindful of how you take your water. Water is life. It flows freely but sad that not all can access it.